Jana Juráňová is an acclaimed Slovak writer, playwright, essayist, translator and publisher, co-founder and editor of the feminist educational and publishing project ASPEKT. She lives in Bratislava. 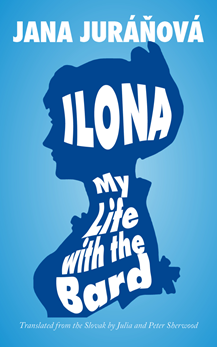 She has written several theatre and radio plays, children’s stories and short stories. Her latest collection of short stories is Lásky nebeské (Heavenly Loves, 2010); her longer fiction includes the feminist crime story Utrpenie starého kocúra (The Suffering of the Old Tomcat, 2000); Orodovnice (Beadswomen (2006) and Žila som s Hviezdoslavom (Ilona. My Life with the Bard, 2008). The latter two novels were shortlisted for Slovakia’s most prestigious literary prize, the Anasoft Litera Award, and several of Juráňová’s short stories have appeared in German, English, Hungarian, Polish, Czech, and Norwegian translation. 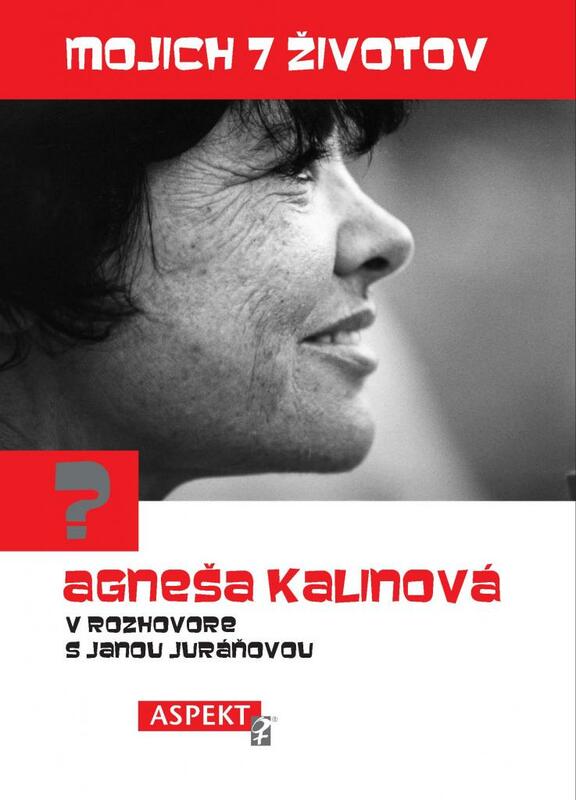 In 2012 she published the memoir of the prominent journalist and translator, Agneša Kalinová, Mojich sedem životov (My 7 Lives), in the form of a book-length interview. 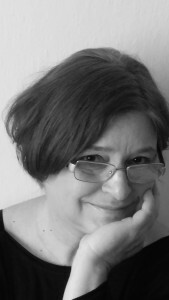 Her latest work of fiction, the novella Nedokončená záležitosť (Unfinished Business), appeared in 2013, and her latest play, Tichý bič (The Quiet Whip) about Slovak novelist and wartime collaborator Milo Urban, in 2015. Jana Juráňová’s translations from English include Virginia Woolf’s Three Guineas and Judith Butler’s Gender Trouble as well as books by Margaret Atwood and Jeanette Winterson. How did you see Husák’s role in the “normalisation”? Now that you mention it I realise that Husák played exactly the same role in 1968 as he had in February 1948. Back then he’d also been in charge and in the fall of 1947 he’d carried out a kind of dry run for the 1948 February communist takeover. Now he tried the same trick again. In his capacity as First Secretary of the Central Committee of Slovakia’s Commmunist Party he staged a kind of mini pre-normalisation in Slovakia at the time as people were still trying to salvage as much as possible. In Prague this process took a whole year but from his seat in Bratislava Husák tried to accelerate the process in Prague as well. One of the reasons why things took a turn for the worse in Slovakia was that many intellectuals who had been active in the reform process and who had voiced some demands then, felt satisfied when the federative system was introduced and Husák rose to a leading position in Slovakia. They stuck with him, believed in him and made loyal noises, generally doing Husák’s bidding. Partly because they trusted him and partly because they felt that their key demand, i.e. federalization, had been achieved, there was little more for them to be concerned about. Some expressed the view, which became even more common during the normalisation, that if it hadn’t been for the Czechs and their radical views the invasion needn’t have happened, so why should we identify with the Prague-based extremists? In fact, many Slovak Writers‘ Union officials had regarded as extremist the speeches delivered by Ludvík Vaculik, Milan Kundera and Pavel Kohout at the Third Writers’ Union congress in 1967, feeling that they had been unnecessarily provocative and extremist. And these writers started rising in the hierarchy one by one as cushy jobs were to be had in both Bratislava and Prague. The poet [Vojtech] Mihálik had protested the August 1968 invasion by writing The Song of Danka Košanová [a poem dedicated to a young girl shot dead by the Red Army] and by signing every petition to the Prague parliament, as did [Miroslav] Válek, who served as Minister of Culture. Both were soon rewarded with positions in the new system, which flattered their vanity and satisfied their financial demands. So in Slovakia things were calming down, partly thanks to Husák‘s policies as well as his authority. And the fact that he succeeded in this made him rather attractive in the eyes of the Russians. In his book Seven Days to the Funeral Ján Rozner wrote that in the end Slovakia had always profited from every crisis. Would you agree with that assessment? The only real benefit and the only tangible outcome of the burgeoning reform movement that lasted from January 1968 until the August invasion was the adoption of the constitutional law on the federalisation of Czechoslovakia, which came into force with a great fanfare on 27 October 1968. It guaranteed Slovakia a position equal to that of the Czech part of the country, at least formally. This was generally seen as a great achievement, and as a result some optimism returned to Bratislava: people in Slovakia felt gratified and reassured, and showed greater willingness to come to terms with the new situation. We must remember that throughout the preceding period one of the most hotly debated issues was the question of which was more important: democratisation or federalisation. Opinions on this subject were divided, even at [the weekly] Kultúrny život we had split into two opposing camps. Now that the supporters of the federation had won, their option turned out to have been the easier one. The Russians didn’t really mind that either, because in fact federalisation echoed the Soviet system: the USSR also had union republics and autonomous regions within them. However, as soon as the term “normalisation” was introduced it became abundantly clear that the system had not changed in any substantial way. Quite the contrary: the clock was turned back to something resembling the [Stalinist] 1950s, complete with communist-style “democratic centralism”. The “all-powerful party” continued to rule from a single centre, Prague, except that the Slovaks, who had swallowed the bait of federation, were offered more jobs with impressive-sounding titles and better salaries. Did you observe any signs of nationalism at that time? Nationalism reared its head as early as in the 1960s when the struggle for federalisation began. For example, I remember that in 1968 some young men from the Svoradov students’ hall of residence marched through the streets of Bratislava singing Rež a rúbaj do krve (“Slash and chop till you draw blood” [a wartime Slovak fascist song]). That came as a real shock to me. They were university students. There weren’t many of them and nobody made much fuss about it but I remember it all too well. Then came 1969: what was its significance? The year 1969 was the concluding chapter of this period. It all started with the “Palachiade” – the self-immolation of the student Jan Palach in protest at the rising indifference in society. For a while it seemed that the shock had jolted people out of their lethargy, that some of the heady atmosphere of the days immediately following 21 August 1968 was returning. This brief change of atmosphere also found its expression in the almost hysterical celebrations after Czechoslovakia’s victory over the Soviet Union in an ice hockey match; in Bratislava, too, there was a huge rally during which the police beat up the translator Zora Jesenská, who described this experience in an essay for the Prague paper Listy. And then the doors slammed shut: in the spring Dubček was deposed and replaced by Gustáv Husák as First Secretary of the Communist Party of Czechoslovakia. That was the real beginning of the end. On the first anniversary of the invasion the police cracked down harshly on protesters in Prague and Bratislava, and in the fall of 1969 the borders where closed for good. Normalisation was officially launched in January 1970, with purges and expulsions from the party and many people losing their jobs. By the end of 1969 Listy had ceased publication in Prague, as had Filmové a televizní noviny and every other journal of a similar orientation. The year 1969 put a stop to every reform movement and aspiration and extinguished the hopes that had been nurtured since Stalin’s death and solidified in 1956, when the illustrious leader of the proletariat was denounced in Moscow, launching more than a decade of a bizarre dance: one step forward and two steps back, then the other way round. But now that dance was over and from now on there was only one direction, set by the party and government policy: backward march!